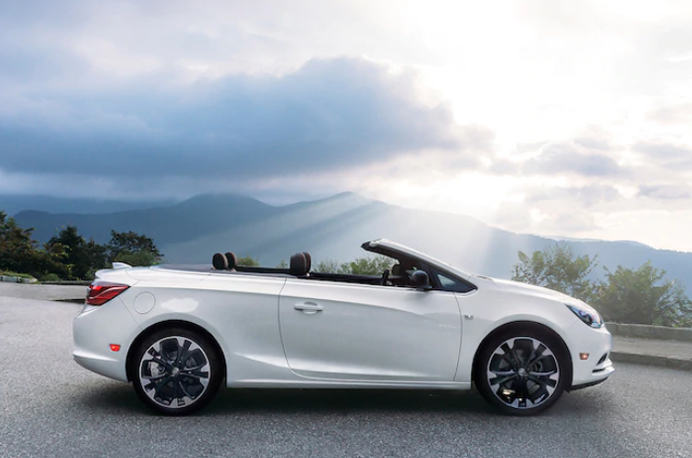 The 2019 Buick Cascada in St. Louis is the perfect convertible with the best features in its class for the money. You will certainly enjoy the large trunk and the superior sound quality with the top up. Buick has designed a special soft top that keeps out road noise and also keeps the temperature in check. You will be impressed with room you will have with this 4 seat convertible as well as comfort for your whole family. Buick has designed some special options such as the Electronic Seat Belt Presenter, Easy Entry Rear seats, Air Deflectors and the special Sport Touring Edition features such as Red Stitched Seats as well as the Dark Effects Package. The 2019 Buick Cascada at Lou Fusz Buick GMC has the latest in safety features. 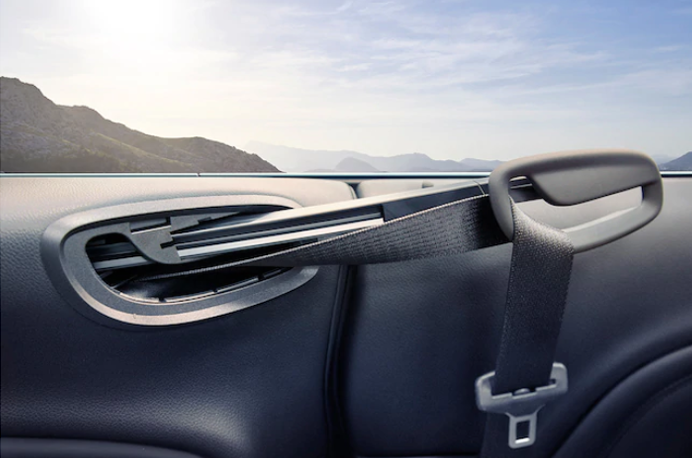 In the unfortunate event of a rollover the 2019 Buick Cascada in St. Louis has special steel roll bars that will suddenly pop out to aid in rollover protection. They will raise about 14 inches to the approximate height of the windshield. The Cascada comes in multiple trim levels such as the Buick Cascada Sport Touring Red Sport, Sport Touring, Premium and base models. The Buick Cascada Sport Touring Red Sport Edition comes with a 1.6 inline 4 Turbo engine, special alloy wheels, black interior with special red stitching, air deflectors, navigation system, lane departure warning system, 7 inch touchscreen display and much more. Stop by Lou Fusz Buick GMC for a test drive today. You will certainly enjoy this test drive as you drive down Lindbergh BLVD in St. Louis. YOU CAN ENJOY THE LED AND CHROME ACCENTS ON THE 2019 CASCADA CONVERTIBLE IN ST. LOUIS..
BUICK HAS THE LATEST TECHNOLOGY TO MAKE YOUR RIDE MORE ENJOYABLE SUCH AS TWO AVAILABLE AIR DEFLECTORS SHOWN HERE. 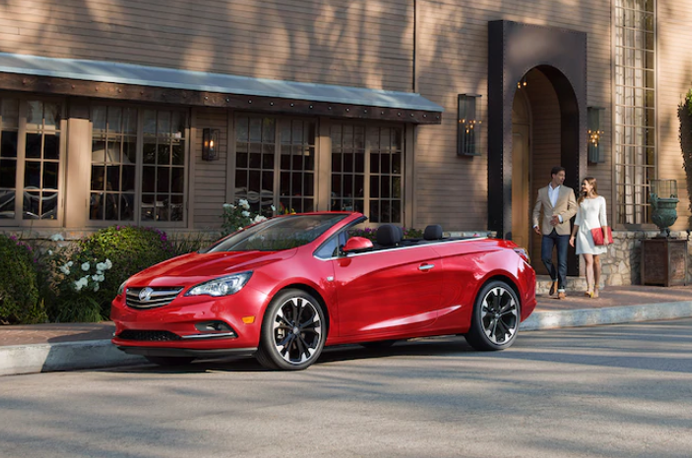 CHECK OUT THE BOLD DARK EFFECTS PACKAGE AVAILABLE ON THE 2019 BUICK CASCADA CONVERTIBLE. THE SPORT TOURING EDITION IS AVAILABLE WITH AN EXCLUSIVE PAINT AS WELL AS SPECIAL WHEELS. 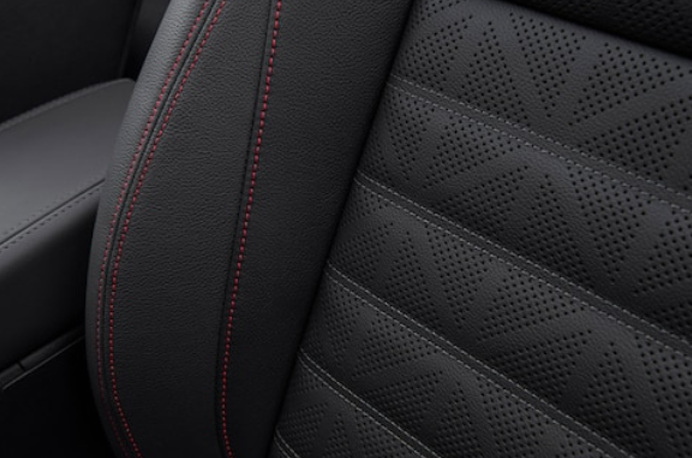 WITH THE DARK EFFECTS PACKAGE YOU WILL RECEIVE THIS SPECIAL RED STITCHING BUILT INTO THE SEATS.